Are you ready to bring your group, club or class for a totally unique and wholly educational experience they’ll never forget? Look no further than Hot Sand. Over the last 10 years, we’ve been sharing our joy for glassblowing with schools and scouts from across the Tri-State area. This is only available on days when we are blowing glass with the public to parties of 10 or more people or projects. Your non-refundable deposit of $100 for your Group Reservation or $200 for Private Parties is payable at least 10 days before your scheduled visit. Credit cards are accepted. Re-scheduling 3 days prior to your visit is subject to a $50.00 re-registration fee. If you cancel with fewer than 7 days’ notice, you will forfeit your entire deposit. There are no refunds for no-shows. Also, please arrive 10-15 minutes before your appointment — our ovens and glassblowers are ready for you. If you arrive late, we will charge you $25 per quarter hour. Your group must provide one chaperone for every 8 participants under the age of 18. Please notify Hot Sand if anyone in your group has special needs or is alter-abled. 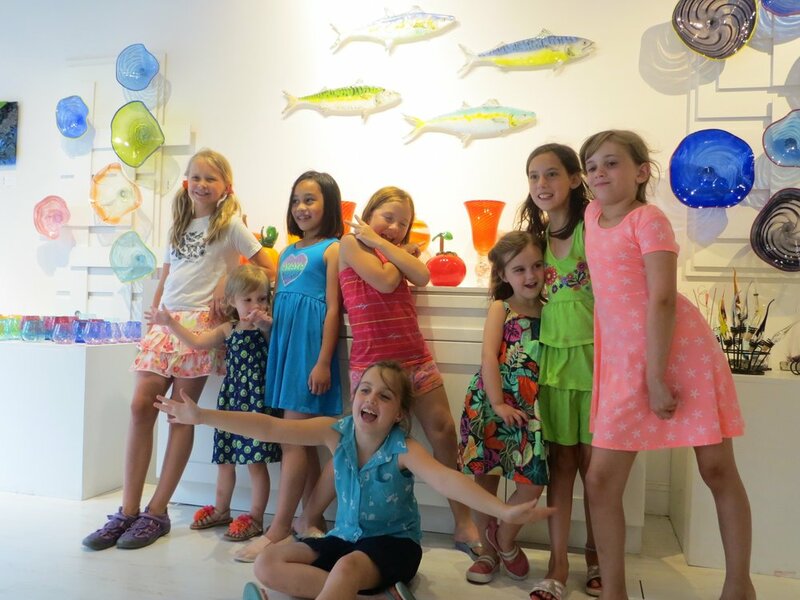 Members of a school group coming to work in our hot shop (Blown Glass Projects) must be at least 9 years old and should bring our Permission Slip signed by a parent or guardian with them on the day of their visit. We take our age requirements very seriously. The safety of your children is paramount. Any glass you make in the Studio will be ready for pick-up one week after it’s made.